Westec Media Limited Plus (WML+) is the major distributor of entertainment content and technology in The Kingdom of Cambodia. 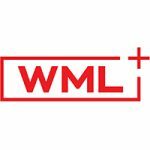 WML+ has diversified from film distribution to film production, content platforms, home entertainment, movie merchandise retailing and social media marketing. Our company is based on strong ethics and strength in partnerships.